Pumpkins Scream In The Dead Of Night As We Share What Will Grow In October! 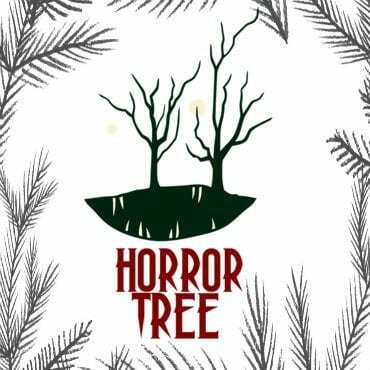 While Horror Tree is about all speculative fiction these days, our name alone says what we grew from. Horror is in our blood and October is the month of All Hallows Eve so you know that we can’t help but be excited. We’ve got a couple of significant additions which we’re trying to finish for the month of Halloween, so hopefully, you’ll have a couple of great new features on the site and a great Trembling With Fear experience! Speaking of Trembling With Fear, two quick updates. First, our Halloween edition is going live this month, and we’ve still got a bit of room for short stories and drabbles so be sure to Submit ASAP! Now, as to the anthology, Steph and I have both reviewed it. 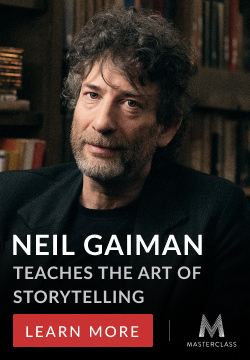 We’re on our last round of changes and once they’ve been made the book will, finally, at long last, long overdue, be ready for release. YES! I do apologize for this taking so long and what we’ve learned this year will make next year’s come out so much quicker. What Is New At The Horror Tree?! Not a lot of changes this last month. Things have been a bit crazy trying to get the Trembling With Fear anthology in order. That being said, it was pointed out by a couple people that finding older articles (specifically reviews and interviews) was a bit of a pain. With that in mind, we slightly changed our menu and sub-menus for the Articles section which should make it much easier to get through now! What Is About To Grow At The Horror Tree? The TWF update, hopefully! We’re also looking to expand in a couple of areas as well. Looking to contribute to The Horror Tree? We’re always on the lookout for more help at The Horror Tree! Patreon is always a great way to help out. We also always have a STRONG need for book reviewers! However, if you’re looking to add your personal touch to things there are other options! From ongoing contributors to web developers that would be interested in working with us on online applications for authors, to guest blogs, to someone willing to track open markets, to being a stop on your blog tour, and so on. If you are interested please drop us a line through our contact page today! Have anything you’d like to see us add in the future? We’re here for you so if you believe there is a service, column, or anything else we could list that you’d want to see please reach out via our contact page! Once again, we’re trying to share how the Horror Tree is growing socially. I need to keep a focus on this as it is hard to find ways to grow our social media and keeping track shows how many authors and readers we’re able to reach! Horror Tree’s Twitter – Back on course and up to 6714 followers! Hoping to get closer to 7000 by next month. Horror Tree’s Facebook –A great little milestone as we broke 1800 followers! ! Horror Tree’s Instagram – Slowly but surely! We’re up to 662 subscribers. Hoping to inch a bit closer to 1,000 and maybe we can break 700 this month. Horror Tree’s Pinterest – Up to 12 subscribers here, still not a lot of growth however it was nearly 1,000 vews on the site from here so it is giving us some traffic. Horror Tree’s YouTube is up to 33 subscribers. Hopefully this will continue to grow as we add new content. ! As always, I hope we’re helping you out and we’d love to see your comments with any suggestions or thoughts on what we’re doing! Thanks for being a reader! Also, if you’re in need of a bit of a break, don’t forget to play The Horror Tree Game!